The disappearance of Agatha Christie is one of my favorite Unsolved Mysteries segments — they really splashed out on sets and costumes; this ain’t no pre-fame Matthew Mcconaughey shot in a producer’s driveway. And for good reason! It’s a story worthy of a little 80s-style grandeur since it’s one of the coziest mysteries I can think of about one of the most famous women in the world. On December 4th, 1926, Agatha Christie’s car was found abandoned an hour’s drive from her house. Search parties were formed, lakes were dragged, headlines were written about it around the world. She was found at a “health spa”, what I imagine to be the 1926 version of a rich people retreat, weeks later. So what happened? Was her disappearance the result of her noted depression drifting into psychosis? Or did one of literature’s most brilliant minds turning to the tools it knew best: revenge and mystery? The night before Agatha went missing, she had a huge fight with her husband, Archie, who had recently told her he was leaving her for a woman named Nancy Neal. Agatha had been trying to hang on and fix the marriage, but it was clear that Archie wanted no part of it. He told her he was going to a house party for the weekend (a detail that feels distinctly modern to me, although it was probably more civilized than the keg stand fest I imagine), and not long after he drove off, Agatha took off into the night, too, freaking out the maids because she was such in “a state.” She had only a small bag with her, and left two notes: one for her secretary asking for all weekend plans to be canceled, and one to Archie whose content has never been revealed. The next morning, her car was found about an hour away from her home, but no Agatha. It had been driven off the side of the road, but there was no indication of an accident. A major search was afoot for one of the most famous women in the country. The press was everywhere, scouring for information to scoop each other. And it wasn’t long before they’d found out about that Agatha’s husband was having an affair — and that they’d argued about it not long before she disappeared. It felt like a plot lifted right from one of her novels, and the twists and turns only kept coming. The revelation naturally gave way to the theories of a potential murder at Archie’s hands or death by suicide, given her already precarious mental state when she learned the news. It was a huge news story, with headlines across the world speculating about foul play and what kind of man Archie Christie really was. But sightings of Agatha began to cast doubt among those working the case. Witnesses began coming forward saying that they’d seen someone who looked Agatha, wearing only a thin dress and acting strangely. Someone fitting her description may have boarded a train. Two weeks after her disappearance, inspectors learned that someone who seemed like Agatha has been staying at a very fancy spa under the last name “Neal.” Neal, you may recall, was last name of her husband’s mistress. It had to be her. Can you imagine the chill that must have sent up Archie’s spine? His missing wife had been hiding out under the last name of his mistress. Whether Agatha’s motivation was born from twisted, helpless anguish or twisted, delicious revenge, the resulting reaction from Archie had to have been the same. Inspectors brought Archie up to the spa and as luck would have it, there was Agatha in the lobby! But when Archie approached her, she acknowledged him as her brother and acted as though it was a pleasant surprise to have bumped into him there. They went to her room and talked for a long while. And afterward, they left the spa and never commented publicly about the disappearance. They tidily went on with their lives — separately. Which is all well and good, but what the hell happened, here? The press said that Agatha had amnesia and that she didn’t have an explanation for what had happened. A related theory is that after having such a life-altering fight with Archie that night, her depression took on a level of psychosis and she may have gone through those weeks in something of a fugue state. A reasonable, albeit rare, explanation. But obviously, the most satisfying, fun and relieving idea (since it downgrades the level of anguish Agatha may have been in and makes her into a sweet adultery vigilante in sensible English dress) is that Agatha Christie, famed writer of mysteries, plotted her own from the start. That she was furious with her husband Archie for leaving her, and she wasn’t going to let him get away with it unscathed. She’d used the mediums she was oh-so familiar with to drag his name through mud and concocted an elaborate revenge story where SHE was the main character. That checking in using that name was a wink and a clue that she’d deliberately planted, and that she was up there in her fancy spa hotel room, reading the headlines about her own disappearance and delighting at the way she was putting dear Archie through the ringer. How absolutely DELICIOUS. 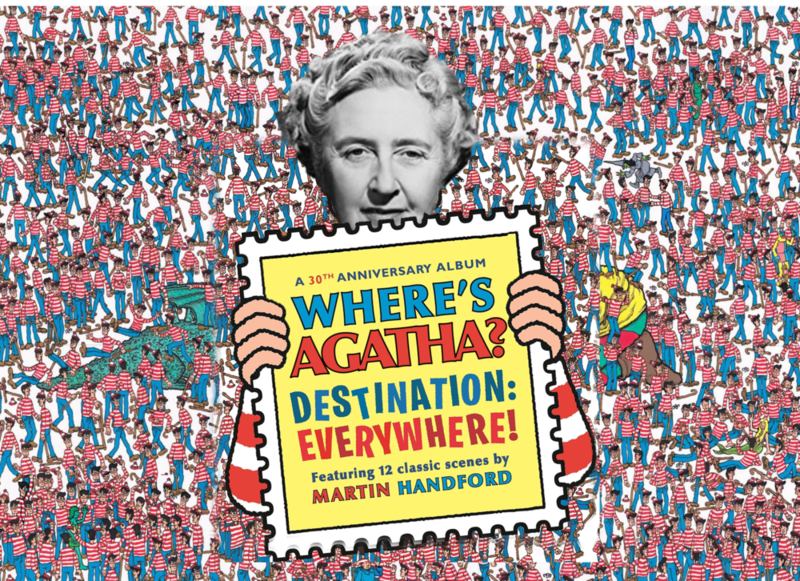 Of course, we’ll never know why Agatha did what she did, unless she has a secret autobiography hiding out somewhere to be published 100 years after she died, like Mark Twain. Fingers crossed! 2076, here I come. But considering that everyone involved ended up not just okay, but arguably better than they were before, I’m very glad she did it. It’s a hell of a mystery she wrote herself into. How DIVINE. Like this? You can hear us talk about Agatha Christie’s disappearance in episode 37 of the Guide to the Unknown!